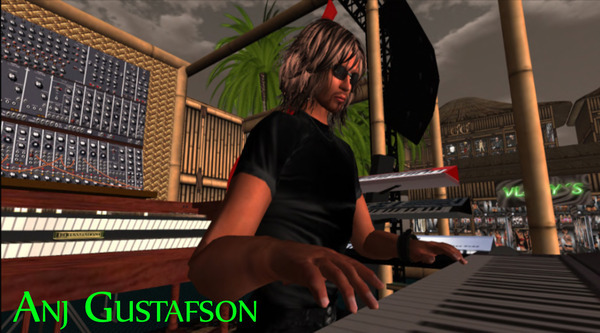 Hazie Moonwall and Andreus Gustafson bring more fantastic music to the SL Music Art Faire & Auction for RFL of SL at The Conservatory – today at 4 & 5 PM SLT! – Ce Soir Arts – Be inspired tonight! Hazie Moonwall and Andreus Gustafson bring more fantastic music to the SL Music Art Faire & Auction for RFL of SL at The Conservatory – today at 4 & 5 PM SLT! As we kick-off Week II of the SL Music Races for a Cure Art Faire & Auction benefiting RFL of SL at The Conservatory at Ce Soir today, we are going to be WOW-ed with more truly fantastic music to enjoy! Come round anytime to see and bid on the stunning array of art – so generously donated by some of SL’s most talented artists. But get your calendar and watch out now, because today we have something special to offer indeed! 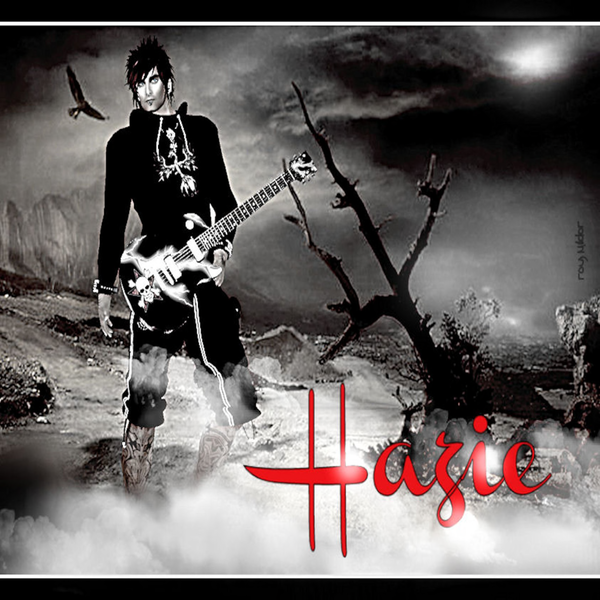 At 4 PM SLT, eclectic and electric rocker Hazie Moonwall will drop in to knock our socks off with some of the best rock to be had in SL – or anywhere! Sprinkled in are some cool originals from his RL band, a surprising country song or two, and a dash of who-knows-what-he-might-do – and you’ve got an excellent and very entertaining show! Hop aboard the Hazie Train for big fun today; it’s always a good time! It will be an hour you don’t want to miss, so come along and let’s rock! Next up is someone you likely know quite well, Andreus Gustafson – affectionately known across the grid as Anj. This professional singer-songwriter from down south a ways will have us in the palm of his hand as he takes us on a musical journey that will surprise and delight. Anj‘s own compositions are stunning mixes of rich sound and vibrant lyrics. Expert guitar, keyboard, and moog playing provide outstanding accompaniment to his engaging vocals. Add a little Collective Soul, Radiohead, ELP, the Who, Pink Floyd, and much much more to his own songs, and you’ve got quite a repertoire going. A friendly group always gathers wherever Anj is playing, and we’ll welcome them all! Drop in anytime to see the beautiful art that’s up for auction to benefit RFL of SL – and hit that kiosk, as every single $L counts! Everyone with the SL Music Races for a Cure Team (and all the teams who work so hard and have such fun) thank you for your generosity. Aeon and I feel honoured to host this event and to witness such kindness from so many. We’ll see you here: The Conservatory at Ce Soir. Previous Great music, wonderful art, incredible generosity!